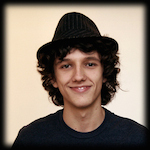 Filippo Valsorda is an Italian developer and researcher based in London. He implements cryptography protocols as a CloudFlare Systems Engineer, and speaks about how to break them the rest of the time. He presented research on Bitcoin cryptography flaws and teaches a workshop on “Breaking Bad Crypto”. He’s the author of the filippo.io/Heartbleed test.